Welcome to London Urban - Intelligent Construction. Located in West London, we build elegant and functional renovatıons through forward-thinking construction. We work to execute every project to a premium industry standard, on brief, on time and within budget. Metre Squared Architecture is a design-led practice committed to providing a professional service and creating innovative, well-crafted and sustainable architecture. We have over 15 years experience working in London and Barcelona on residential, retail, luxury hotels and education projects. Our current work in London focuses on house extensions, internal remodeling, new build as well as shops and office refurbishments. As design specialists, we are passionate about good design encompassing contemporary and traditional architecture. We pay special attention to our client’s specific requirements and take great pride in being able to deliver an end product which fulfills our clients’ aspirations and meets their practical needs. Our considered approach and accumulated knowledge of the planning authorities, in our target areas, enables us to offer our clients the best chance of acquiring planning permission for their projects. I design simple, elegant and spacious gardens that reflect how you want to spend time outside. "We can't recommend Jane highly enough - she transformed our overgrown "jungle" to a beautiful, practical garden that is perfect for entertaining, relaxing and a great playground for our grandchildren. Jane is a pleasure to work with." A garden design and garden consultancy service specialising in border design and planting. Our portfolio of work includes a wide range of gardens from contemporary to more traditional designs for front and back gardens. Catherine Rampton is a plant specialist who works collaboratively with the client to create beautiful and lasting gardens. We provide ongoing consultancy to ensure our gardens look their best over time. We work with a select and trusted handful of landscaping contractors to undertake the hard landscaping in our projects. LouisaJane Interiors offers a friendly and bespoke design service that is tailored around your needs. This ensures you get the best possible design outcome for the way you live, or the way you want to live. While working carefully with a given brief, time constraint of budget your space will be optimised to suit the way you live, work or play and finished to ensure that it is utlised and enhanced to its full potential. 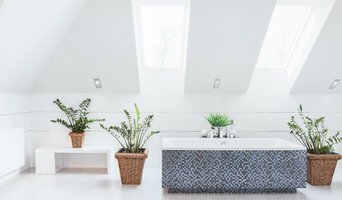 Sanctuary Kitchens & Bathrooms in Surrey specialise in bespoke fitted kitchens and bathrooms from initial concept to completion, created to suit the character of your home, your lifestyle and your budget. We provide an unequalled service to help our customers providing inspirational design with practical solutions, guidance on products and project management of our in-house installation team – you are in safe hands. At Sanctuary Kitchens & Bathrooms, we understand that choosing a new kitchen or bathroom is a big decision. That’s why we’re passionate about helping you to get exactly what you want as easily as possible. We are experts in the latest design trends and materials. We only recommend the best products and equipment as part of a lasting design that is uniquely yours. Tell us what you would like us to design and install sharing your taste and ideas along with the mood you’d like to create in your room. We have the experience and expertise to help you make choices from fixtures and fittings to the right lighting – helping you narrow down the options. Whether you're a residential client, developer or contractor, you can be assured of complete attention to detail. Our portfolio of fitted bathroom and kitchen refurbishments demonstrates the quality of our work. At Marble & Quartz we have a true passion for beautiful worktops, tiles and kitchen design paired with great customer service. Our team are always thinking of ways that a kitchen can look amazing and still be practical. At our showroom in Sunbury on Thames we stock, supply and offer a fitting service for kitchen products such as quartz, granite, marble worktops and glass splash-backs all under one roof. We listen to the needs of our clients, working with them to design a kitchen that fits their lifestyle. This personal and bespoke approach ensures that all the little details have been thoroughly planned to create the perfect kitchen. 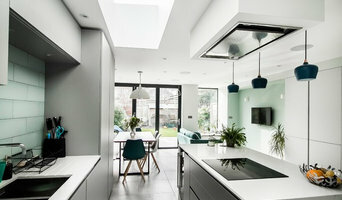 Whether you need help and advice on a tile, worktop or splash-back or an entire kitchen design, we are on hand from day one to make your renovation simple, efficient and the stunning result the perfect fit for you and your family. 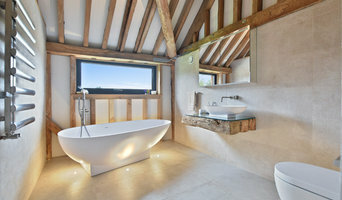 Union Interiors offer a complete tailor made package individual to each client. They work closely and in partnership, listening carefully to the clients' needs. 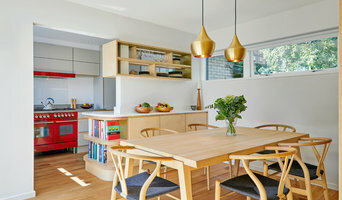 They can provide help with planing a room better, introducing colour, style and theme, bespoke design drawings, sourcing new furniture, implementing all work using a trusted team of skilled tradesmen. They can also fully manage a project, alleviating stress and time. Reach out to multiple professionals — especially for larger projects — and don't settle for the first quote you receive. Comparing multiple Hampton, Greater London professionals' quotes and experiences can help you find the one that’s best for you. Ask a lot of questions now, so you won't have unexpected answers later. Find a home design professional on Houzz. Narrow down your search by type of professional and location. 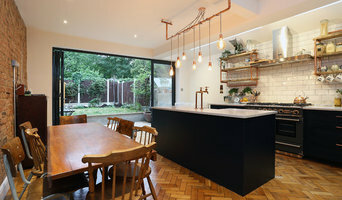 Browse Hampton, Greater London portfolio photos, read client reviews and contact each home improvement professional for more information. Check out the information in the specialised professional sections too for tips on how to hire the right professional for your project.